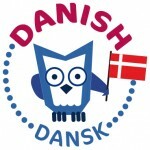 Over 5.5 million people speak Danish, mainly in Denmark, however Danish is also spoken in many countries such as Greenland, Germany, Norway, Sweden, Canada, the UAE and the USA. Danish was the official language of Norway until about 1830 and of Iceland until 1944. Danish is first foreign language learnt in Iceland. Danish is very similar to Norwegian and Swedish. Many proficient speakers of Danish, Swedish and Norwegian can understand the others. Studies have shown that Norwegian speakers can understand both Danish and Swedish far better than Swedes or Danes understand each other and both Swedes and Danes also understand Norwegian better than they understand each other’s languages. Danish descends from Old Norse which was mainly spoken in Scandanavia by Germanic people during the Viking Era. Both Danish and Swedish derive from the East Norse dialect group. Old Norwegian dialects before the influence of Danish and Norwegian Bokmål is classified as a West Norse language together with Faroese and Icelandic. In recent times, Danish, Norwegian and Swedish have been classified into a Mainland Scandinavian group while Icelandic and Faroese are placed in a separate category labelled Insular Scandinavian.